Whether it’s a lawyer who has wrongly counseled you on a legal matter, a surgeon whose team has left a surgical instrument sewn in your body or an accountant who has missed an important business tax deadline, the attorneys at Strassburger McKenna Gutnick & Gefsky aggressively pursue compensation and justice for those who suffer devastating consequences due to neglectful harm by professionals. We also represent professionals wrongly accused of neglect. By virtue of their designation as professionals, most professionals make it their mission to provide their client with thorough, accurate, discreet advice and current best practices. But there may be times when the best of intentions succumb to other events. Many of the above apply to other professions as well, such as the medical and healthcare arenas. Accountants, architects, engineers, investment brokers, realtors—all pledge to follow high standards and in most cases their actions are policed not just by the government but by industry colleagues as well. Yet errors still occur. When those errors cause grievous harm, the attorneys at SMGG assiduously research industry law, regulations, and practices, and review the circumstances of your claim, as well as the professional’s career record before aggressively litigating. We also call on expert witnesses when appropriate to evaluate and assist with the claim. At the same time, professionals may be subjected to unjustifiable claims of professional malpractice. Whether the allegations are made frivolously in the hopes of extracting an undeserved settlement or earnestly, SMGG attorneys apply their same commitment to assiduous research to review industry practices and the specifics of the alleged malpractice in representing the professional before industry boards and the courts. We work closely with insurance carriers for the professional to reach the most cost-effective and fair outcome for the professional and the carrier. 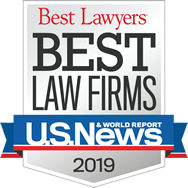 At Strassburger McKenna Gutnick & Gefsky, our attorneys have represented consumers, small businesses, and professionals in all manner of professional misconduct cases. To learn how we can make a difference in your case, contact Harry F. Kunselman at hkunselman@smgglaw.com or Gretchen E. Moore at gmoore@smgglaw.com.